The GIZ Muskoka project supports the Ministry of Health in improving Maternal and Newborn Care with a focus on Emergency Obstetric Care. 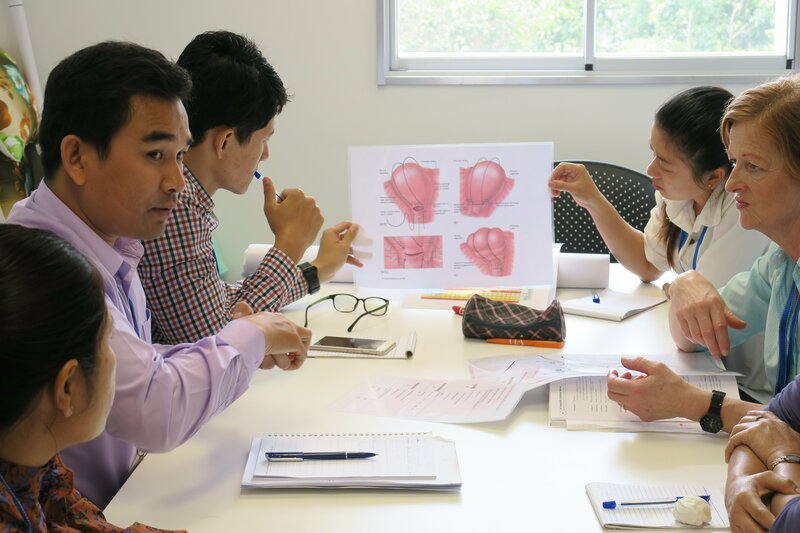 The project runs until 04/2019 and works in the provinces of Kampot, Kampong Speu, Kampong Thom and Kep. 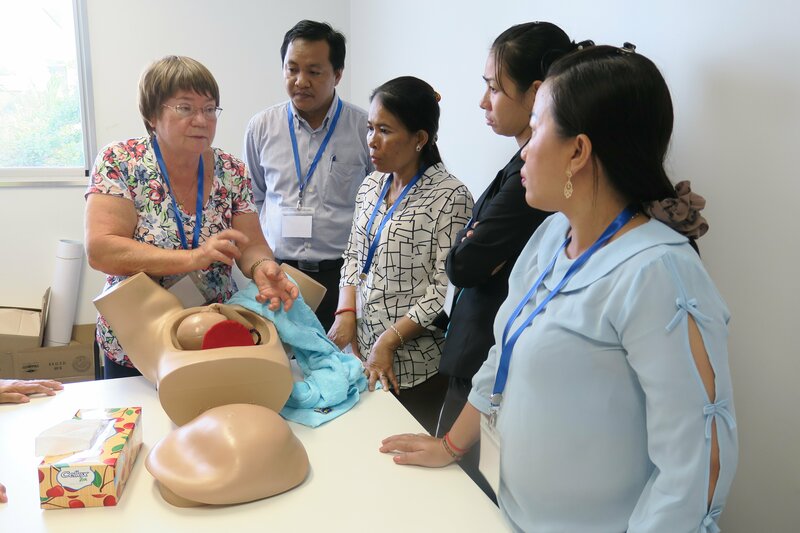 In order to improve the skills and to build capacity of the Cambodian midwives through a series of Emergency Obstetric Care hands-on trainings, GIZ partners with the Liverpool School of Tropical Medicine (LSTM). 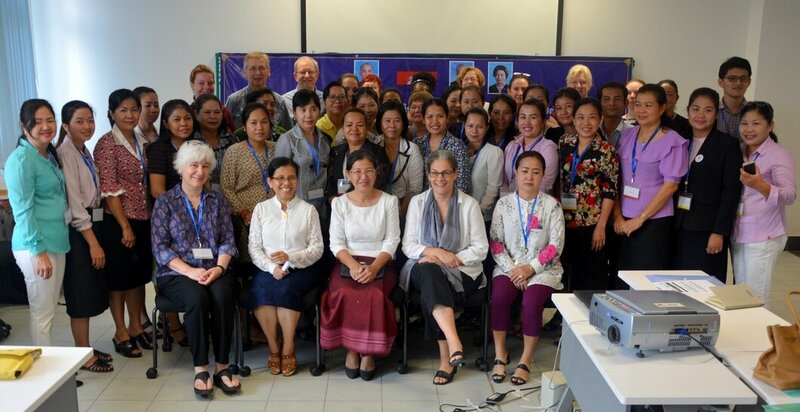 The Centre for Maternal and Newborn Health at Liverpool School of Tropical Medicine (CMNH-LSTM) has designed an Emergency Obstetric & Newborn Care “Skills & Drills” training to develop the capacity of existing healthcare providers to recognize and effectively manage women and babies requiring emergency obstetric care. 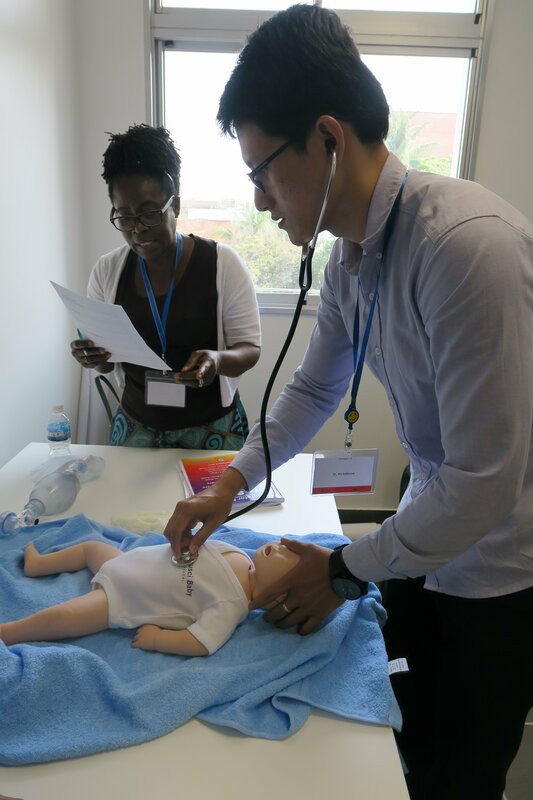 The course covers the five major causes of maternal death – haemorrhage, sepsis, eclampsia, obstructed labour and complications of abortion and also immediate newborn care. It also covers all medical interventions required for basic and comprehensive emergency obstetric and newborn care . 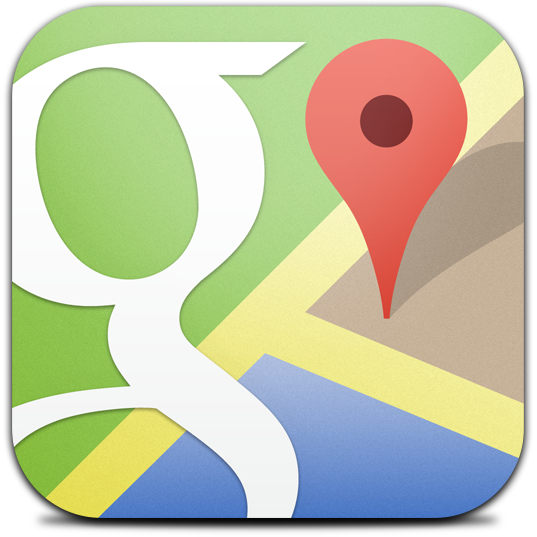 It recognises the very real barriers to accessing care that women in resource poor countries have, as well as with the realisation that many healthcare providers trying to provide Skilled Attendance at Birth (SBA) and Emergency (or Essential) Obstetric and New-born Care (EmONC), work in difficult circumstances with limited resources. A series of 7 emergency obstetric and newborn care trainings are conducted at the training unit of the National Maternal Child Health Centre (NMCHC) between March and May 2017. A total of 420 health staff are trained. 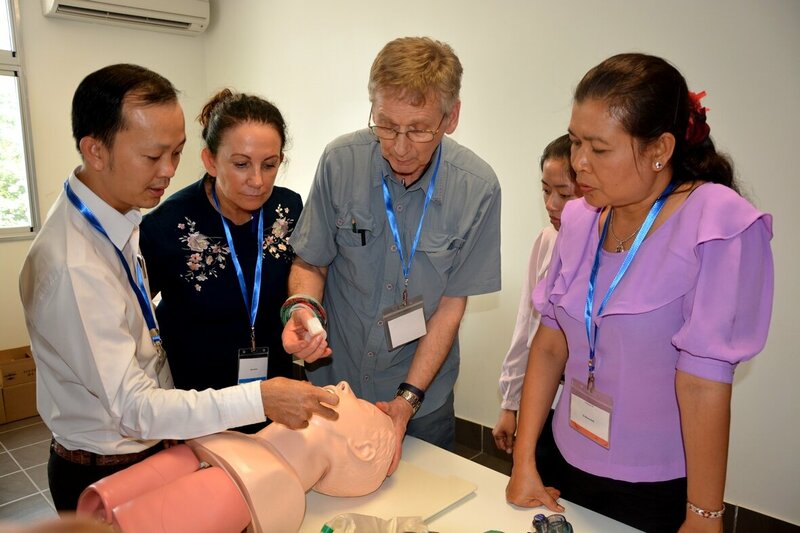 In addition, skills laboratories, equipped with the same material and mannequins used during the training will be established in the provincial referral hospitals of Kampot, Kampong Thom and Kampong Speu. These enable the trained staff to practice and continue learning in their own provinces.